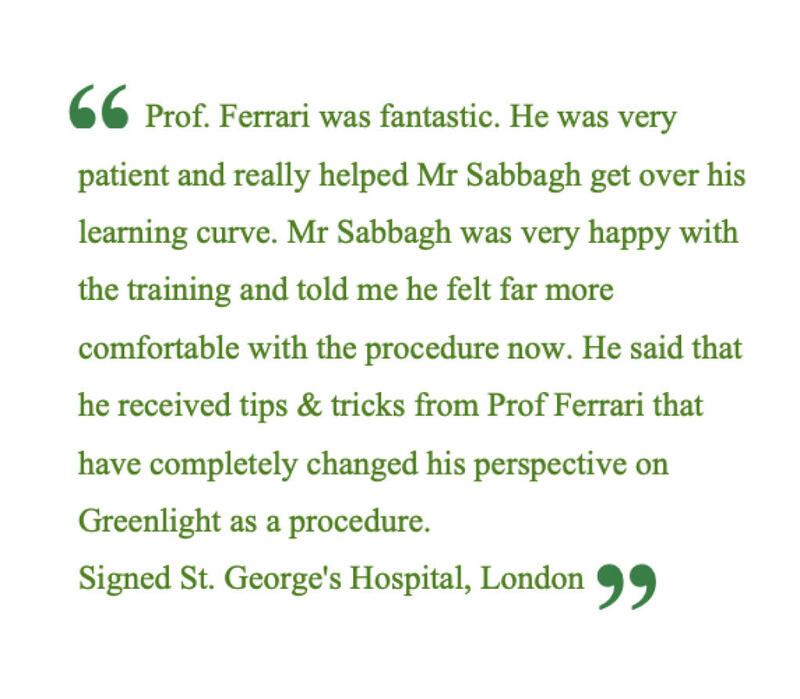 Questo è il feedback che ho ricevuto dal St. George’s Hospital di Londra a fine giugno, dopo aver guidato il Dr. Samer Sabbagh nell’apprendimento delle tecniche e delle competenze che caratterizzano il Corso Green Laser Avanzato (2° livello). Prof. Ferrari was fantastic. He was very patient and really helped Mr Sabbagh get over his learning curve. Mr Sabbagh was very happy with the training and told me he felt far more comfortable with the procedure now. He said that he received tips & tricks from Prof Ferrari that have completely changed his perspective on Greenlight as a procedure.